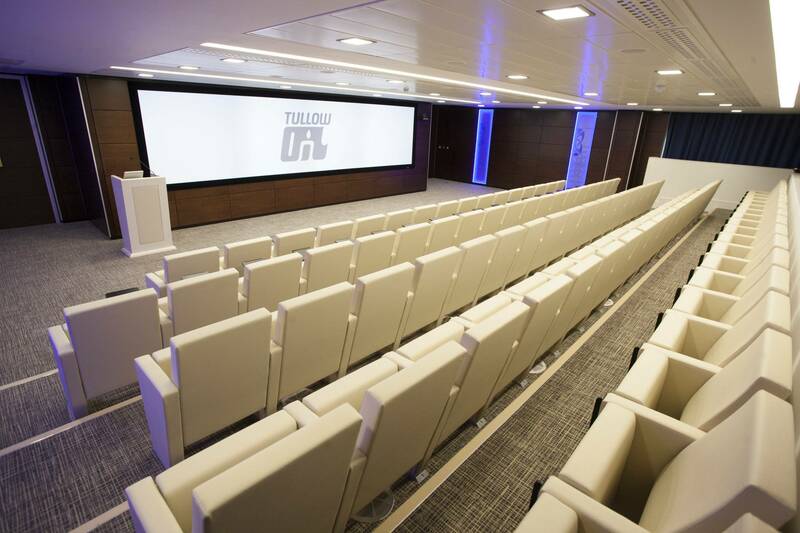 Tullow Oil plc is a multinational oil and gas exploration founded in Tullow, Ireland, with headquarters in London, United Kingdom. 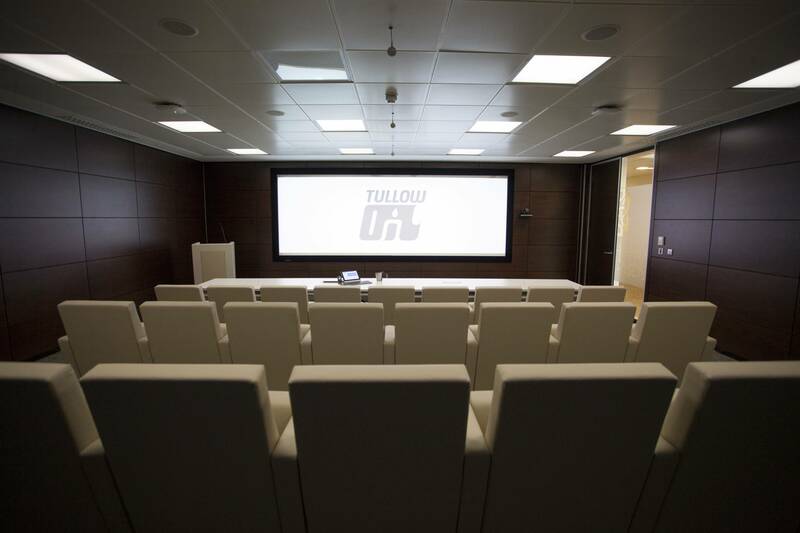 Recently it has built a Technology Centre of Events in Dublin equipped with the most advanced telepresence technology and from where, amongst other activities, coordinates its global operations. 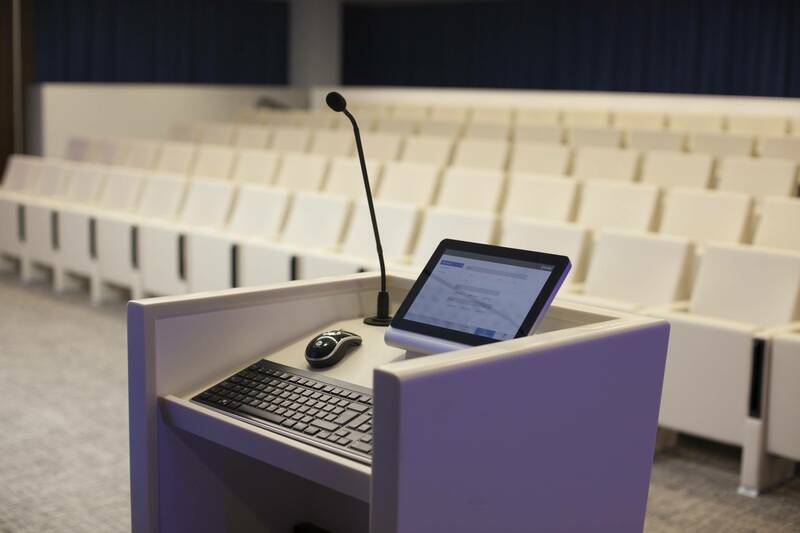 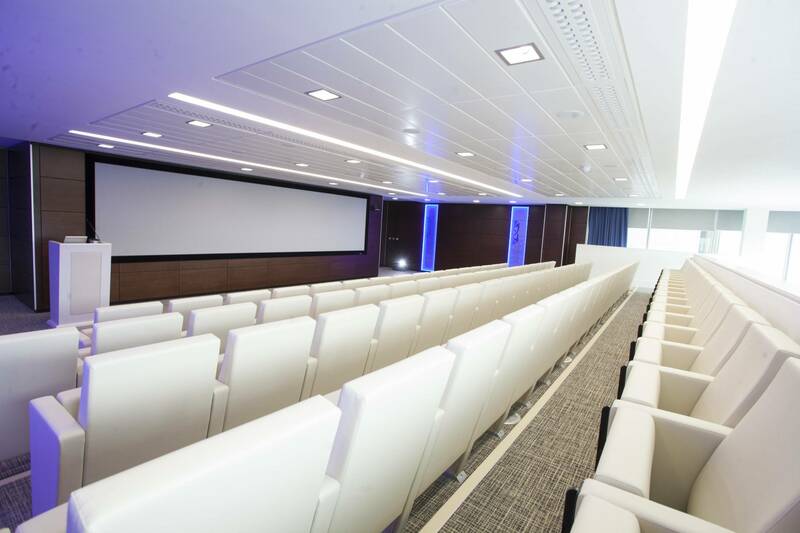 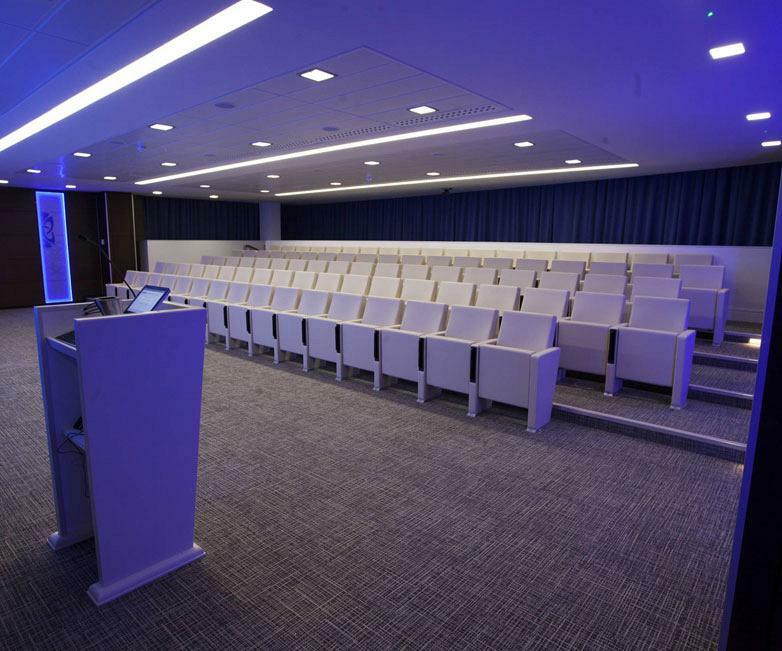 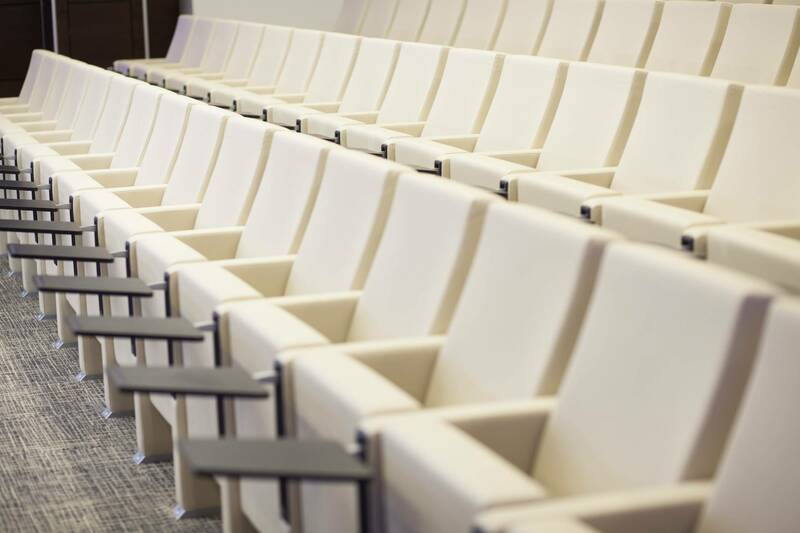 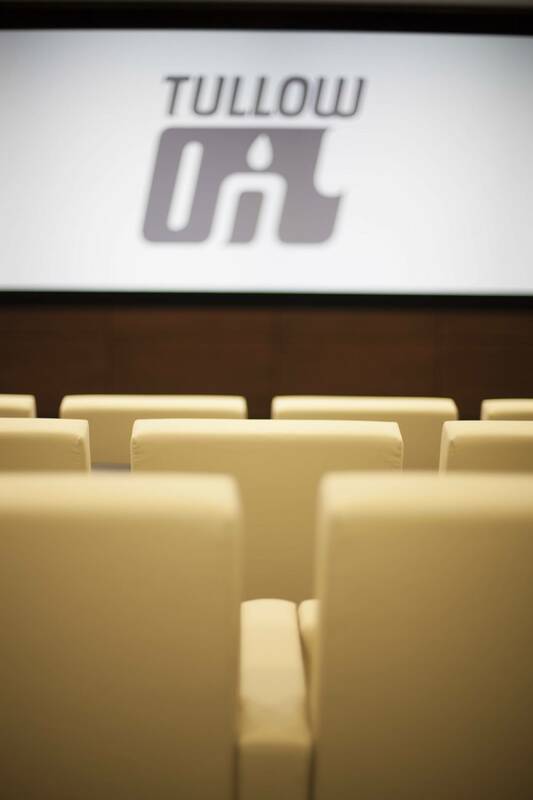 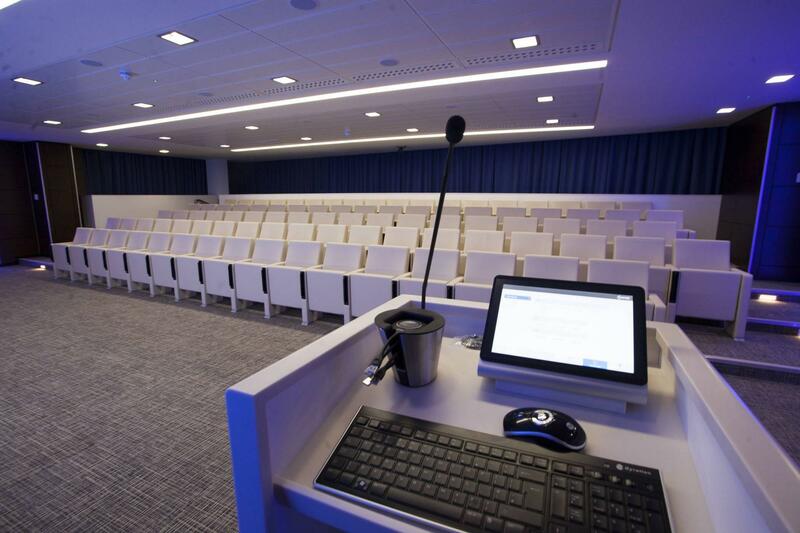 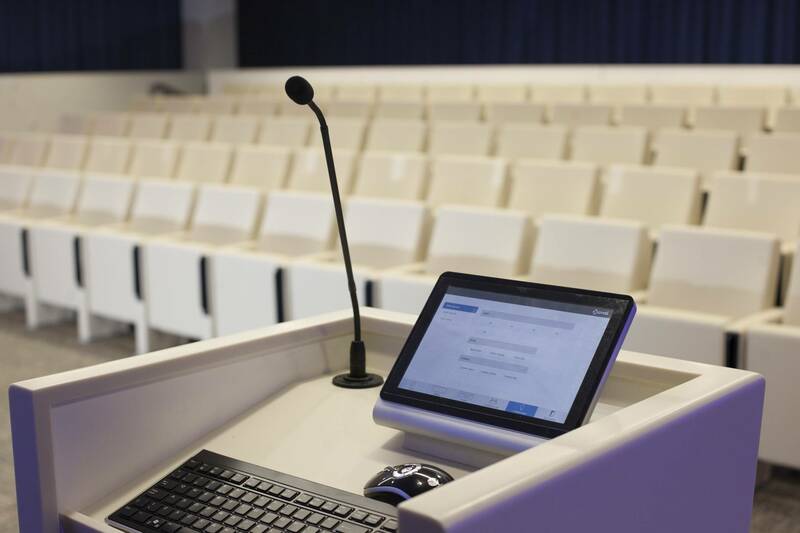 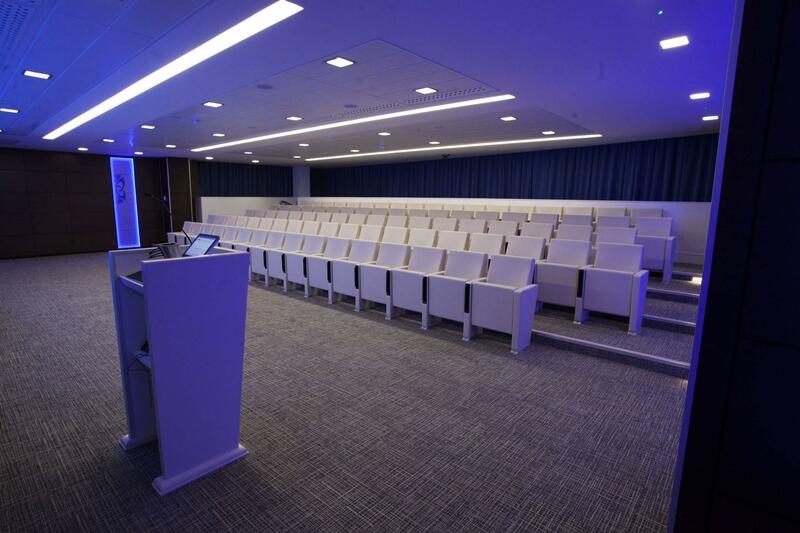 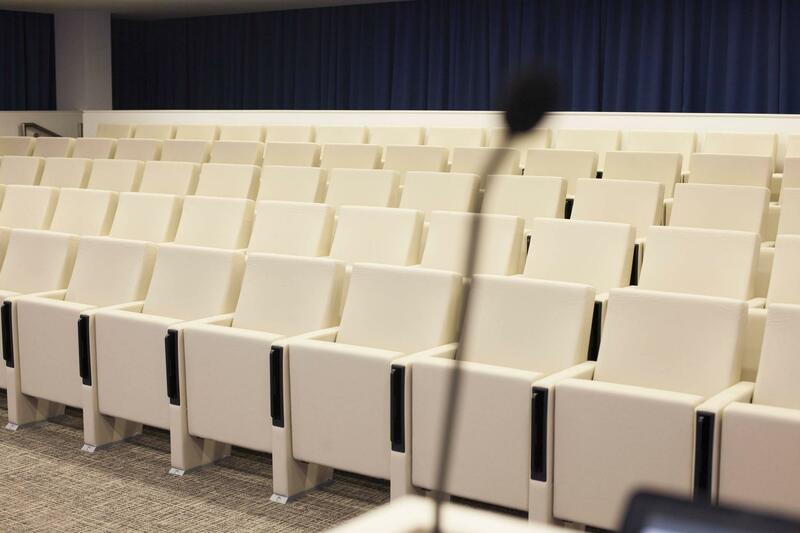 The centre includes a large auditorium, three viewing rooms and two training rooms equipped with standardised systems with identical user interfaces which enable connections to all of the offices in the multinational. 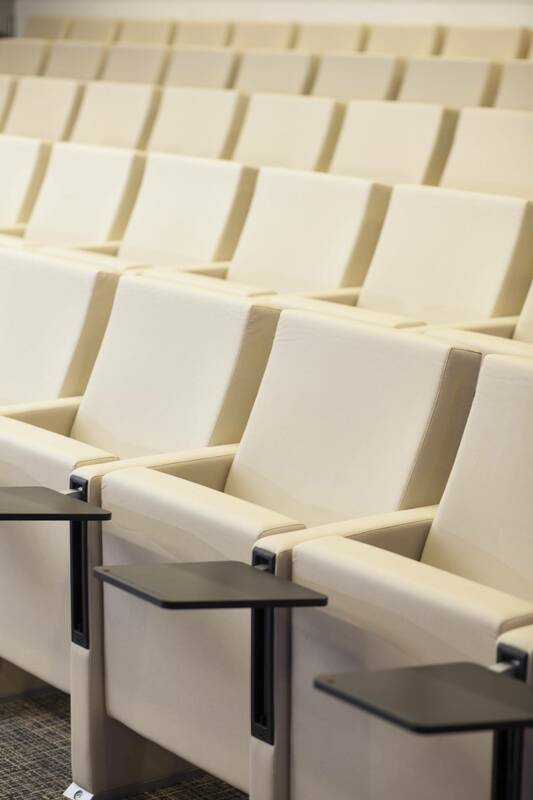 The Audit seats, by Actiu, dress all the scenarios. 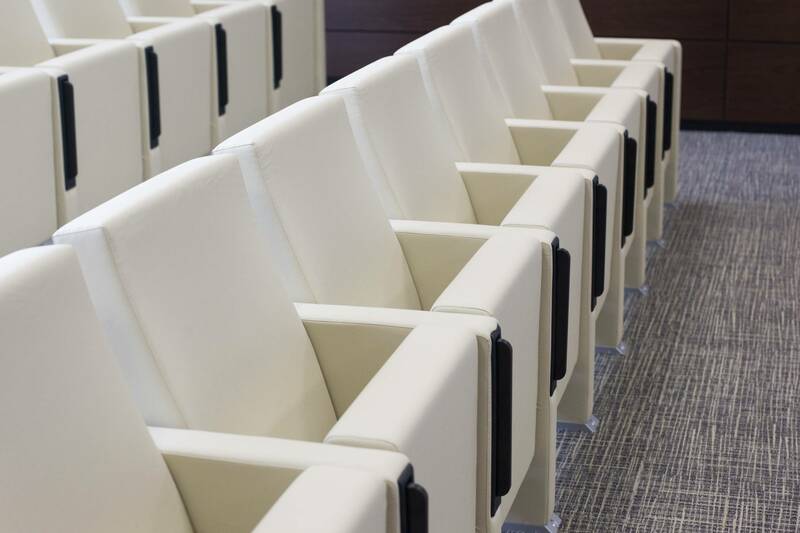 The Audit 10 model was chosen, upholstered completely in cream, so that it stands out in a room clad with dark wood paneling. 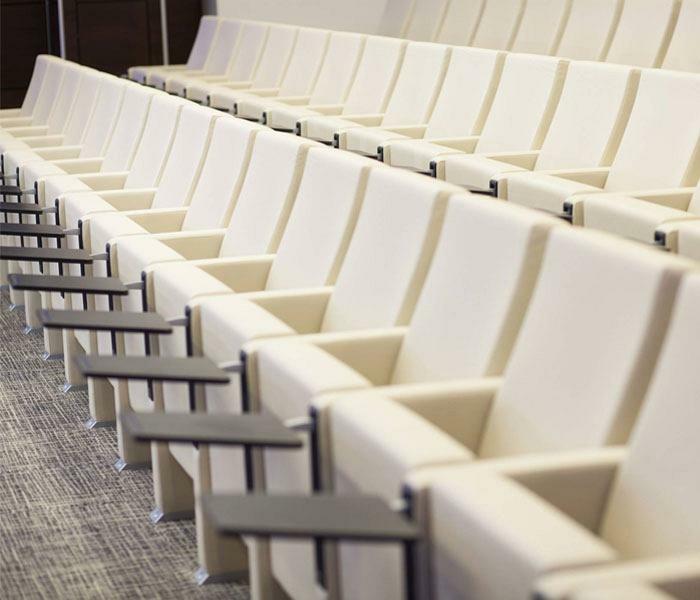 It is made from a upholstered back, achieving an ergonomic product, with stable recovery and great comfort. The seats have an integrated writing tablet which is hidden in the side when it is not in use. 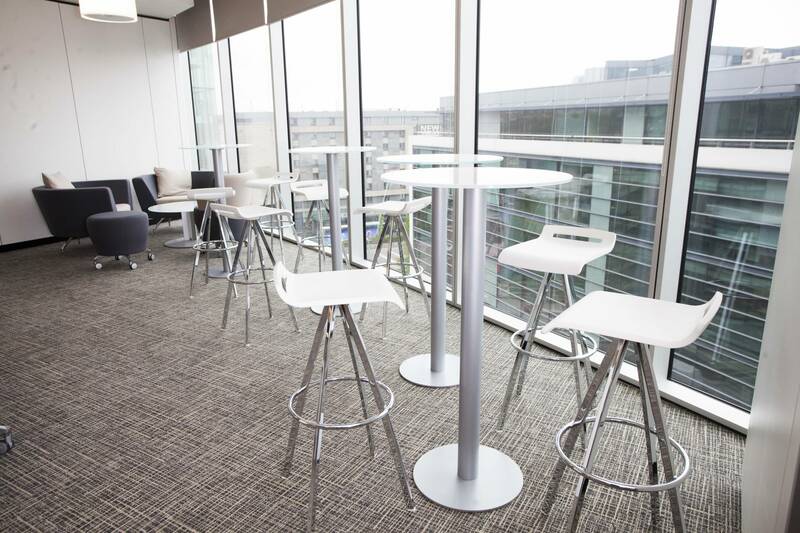 In the halls and lobby of the centre, informal spaces have been set up with Circular base coffee tables, higher ones from Canteen tables and stools from the MIT program. 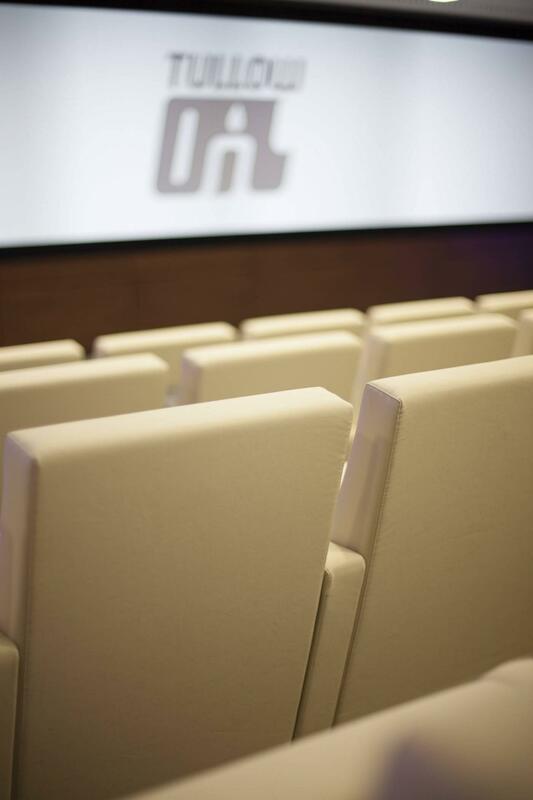 MIT is a chair listed as universal. 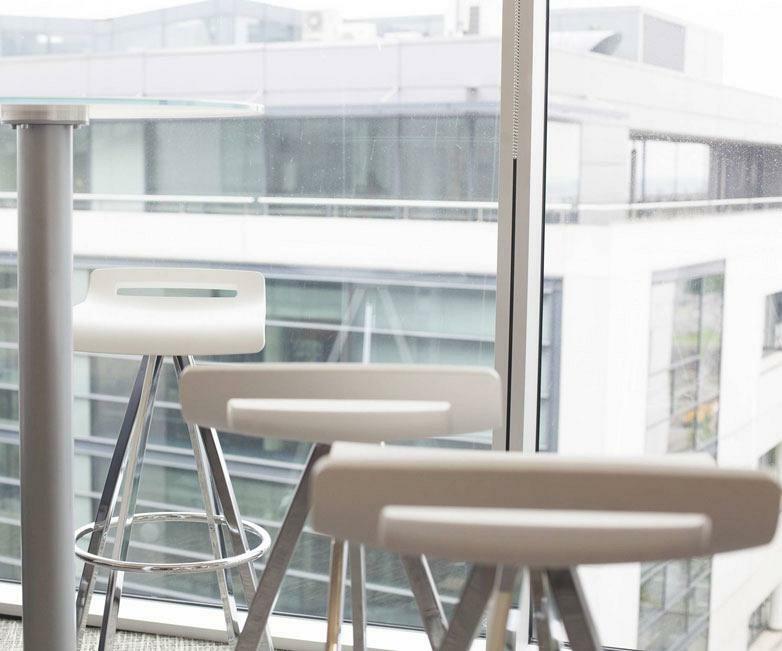 MIT reinvents a new style of chair with the capacity of integrating itself daringly into any existing space. 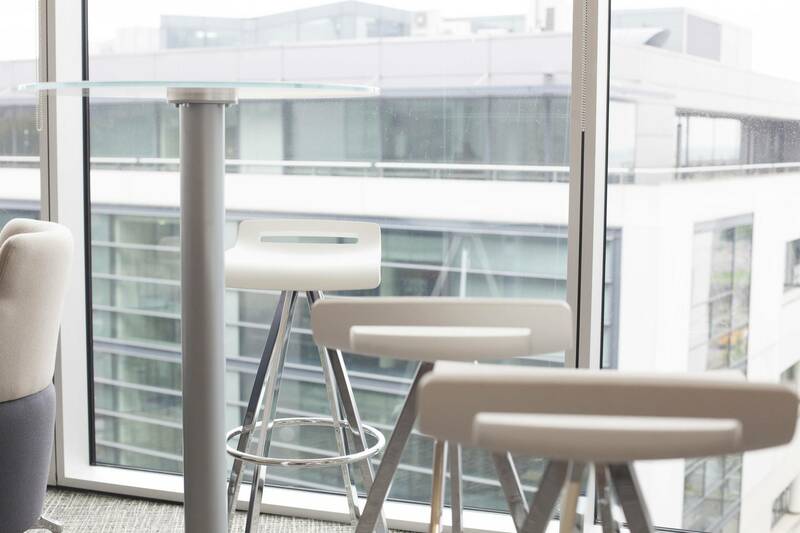 Slender and simple lines characterize this chair whose shell has been made from a single piece of flexible foam. 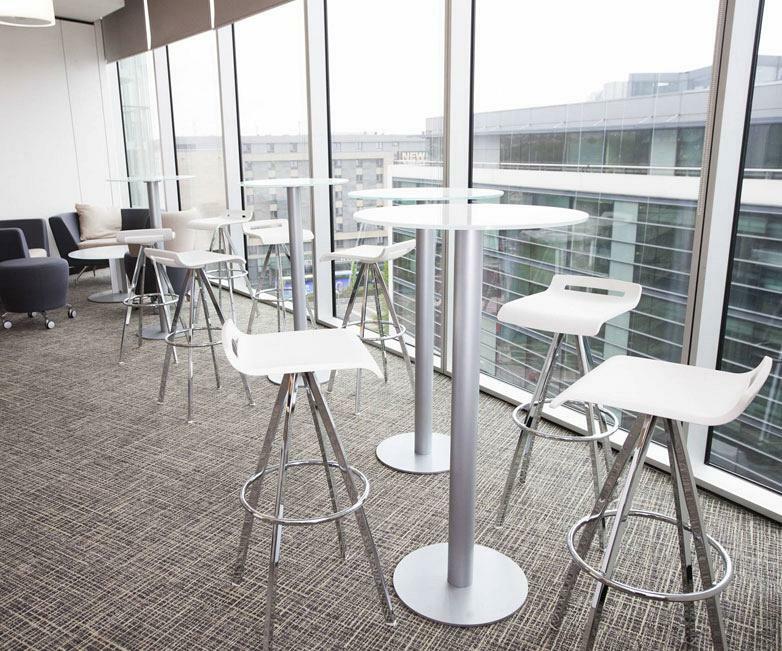 White has been kept for all the furniture, but this time combined with metal.